Been Busy! Aristarchus Region Telescope Images. 61 frames, 80% best quality in Registax. 72 frames, 90% best quality in Registax. 122 frames, 80% best quality in Registax. 68 frames, 85% best quality in Registax. 39 frames, 85% best quality in Registax. 87 frames, 70% best quality in Registax. Aristarchus (40 km), is one of the hunted craters by telescope observers although is small in size . Because of the Moon phase, it can be observed more clearly the terrain elevation surrounding the two craters : Aristarchus and Herodotus . Although they are similar in size , they are different in appearance. One is 3.7 km deep and the other, Herodotus (35 km), is flooded by lava with a depth of 1.5 km. Among them , we can observe a crack heading north. This is called Vallis Schröteri , and starts from the crater Herodotus . This valley is close to a tall wall that stretches north of the crater Herodotus , giving the illusion that the valley splits at one point , but it is not like that. Vallis Schröteri continues on to North , and it curves West. Notice south of Aristarchus a crater which seems rather like a drawing because it was flooded in the past by lava , leaving only to see the top end edge . This is Aristarchus F (18 km). 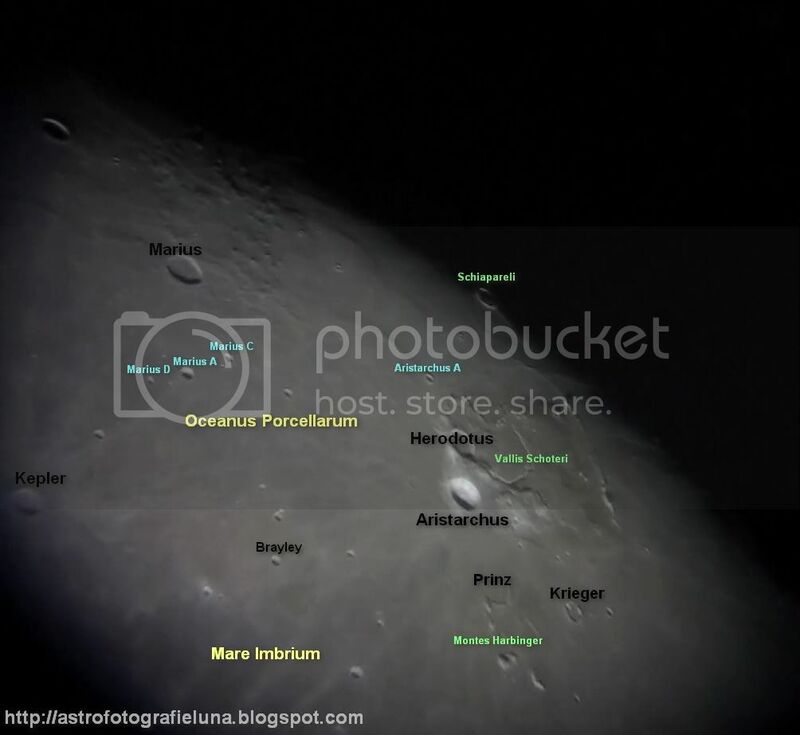 To the east of these craters , starts Oceanus Procellarum basin. Here, we see small craters like Brayley (15 km) and satellite craters of Bessarion. To the west , there are many features to be seen as we get to the edge of the Moon , but all are in the dark here. 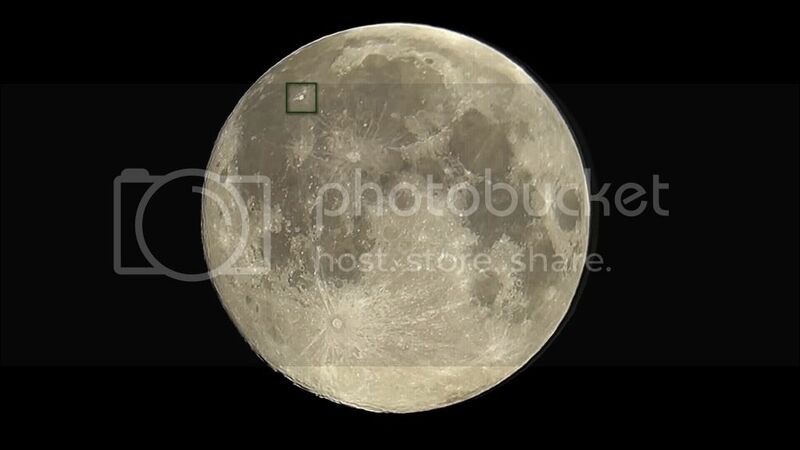 Video can be seen here: Aristarchus crater on the Moon on HD video. Image from 2010 with the same telescope.